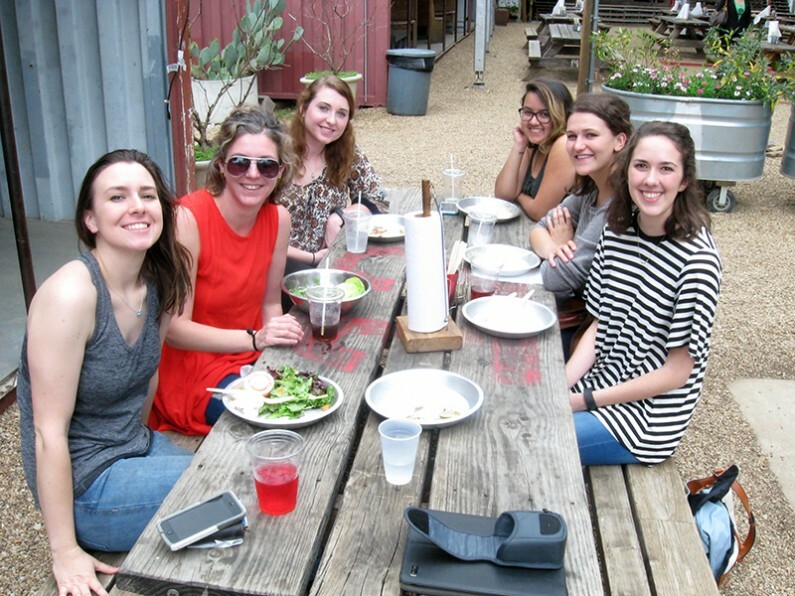 The spring 2016 Life and Career in Art class had a great trip on Saturday to the Metroplex for face-to-face meetings with professional art practitioners matched to their own career plans. Students dined at Chicken Scratch with artist and textile-designer Sarah Maxwell English (’01), visited with art business owner Kayli Cussick at Oil and Cotton in the Bishop Arts District, and had a conversation about careers in art therapy with registered art therapist Anne Briggs at The Art Station, a rare facility focused solely on art therapy. Students share a meal and converation with Sarah Maxwell English. As if this weren’t enough, the students also got to experience contemporary art on an international scale as they visited the Dallas Art Fair. Galleries from around the world were in Dallas to present the work of their finest artists. 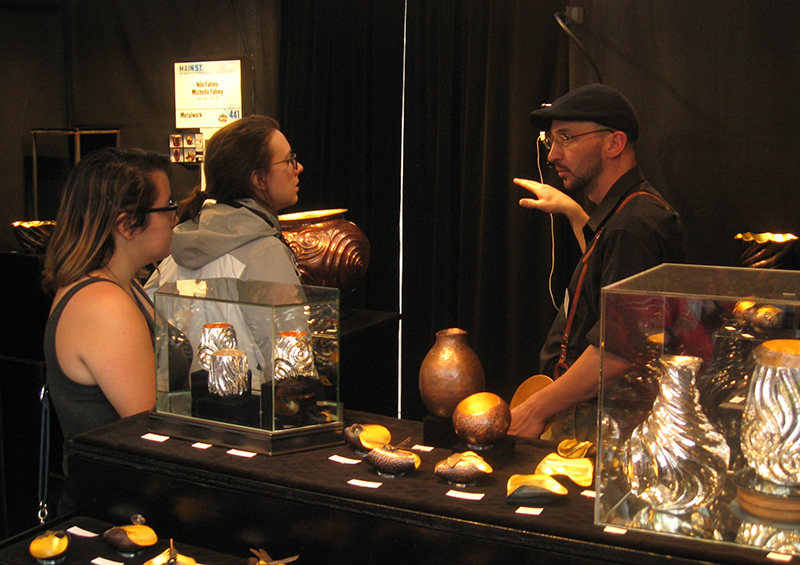 And later the same afternoon, students visited with artists from around the nation who were selling their creations in booths in the prestigious Main Street Fort Worth Arts Festival. It was an inspiring day, and one full of learning! Ashley Smith and Kaitlyn Brown visit with a jewelry/metal artist at the Fort Worth Arts Festival.